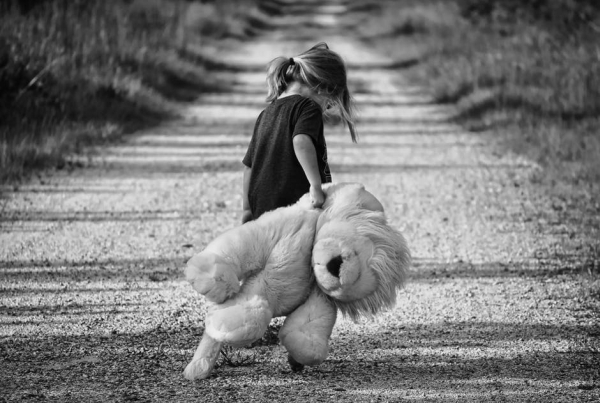 Oregon juvenile dependency cases involve a child (anyone under 18 years of age) who is either beyond the control of his/her parents, who is dependent for care and support on a public or private child-caring agency, whose parents have abandoned, neglected or abused the child, or who has run away from home. Investigations into child safety typically start with someone calling the Oregon Department of Human Services (often referred to as “child welfare”). Callers can provide their name, or be anonymous. Their report may be accurate and truthful, but in some cases the report could be false. The motivation of callers can also very from sincere concern to intentional harassment. For example, in the middle of some divorce and custody cases, one parent (or both) may falsely report the other parent as being a “bad parent” or allege that the other parent is dangerous to the safety of the children. DHS must sort through these false claims, but they must start with the assumption that the report needs to be investigated. In order to start a formal dependency case, a petition is typically filed in juvenile or Circuit Court by DHS, the DOJ, or a local District Attorney’s office. However, any person may actually file a petition alleging that a child is within the jurisdiction of the court. Once a dependency case is filed, DHS and the Court can become very intertwined in your life and family’s live. In some cases the children may be allowed to remain at home with a safety plan. In other cases, the children are removed and placed with a supportive family member. In the most extreme cases, the children are removed from the home and placed in foster care. Many parents in the middle of dependency cases feel they’ve been unfairly accused of being bad parents, and fear they will lose their children to adoption or foster care. It’s important to keep in mind that– in theory– the goal of all dependency cases is for the government to provide services so that parents and children can be reunited, and that the government can withdrawal from involvement with the family. That a child be interviewed with regard to possible safety issues, neglect, abuse, etc. Oregon Juvenile Dependency Cases are serious matters and if you’re under investigation for a dependency case– or a petition has already been filed, contact an attorney/lawyer immediately. There are many time-sensitive issues in dependency cases, so you don’t want to delay. Please note that our firm does not provide free legal work (aka “pro bono“work) on dependency cases, nor does we provide court-appointed or low-cost/modest-means representation on these cases. In order to hire a private, dedicated legal representation on a dependency case, you must be able to provide a retainer. It may be worth your while to reach out to friends and family members for financial assistance in retaining an attorney if you are not eligible for a court-appointed attorney, or if you’re not impressed with the advocacy and effectiveness of your court-appointed attorney.